Indoor Air Pollution refers to various particles and chemical byproducts that contaminate the air in your home. These gas particles, coming from various sources including certain HVAC products such as heaters and fireplaces, can cause health problems related to breathing. This is why it is crucial that you monitor your indoor air quality and maintain a high air quality thorough various indoor air quality solutions for the safety of you and your family. Combustion Pollutants: Particles that come from combustion reactions. In other words, particles that come from the burning of materials. This means heaters, fireplaces, and even dryers can release particles that pollute the air of your home. VOCs (Volatile Organic Compounds): These particles primarily come from cleaning materials such as air fresheners, paints and varnishes, and even perfume and fragrances. Asthma & Allergy Triggers: Any common household factors that trigger asthma and allergy are things such as mold, dust mites, and second hand smoke. Use an air cleaner to filter and clean the air in your home, improving the indoor air quality and maintaining good, clean air for your home. We provide a variety of air quality solutions for your home in Jackson, Grafton, Cedarburg, Mequon, West Bend and all of Washington and Ozaukee counties, listed below. This is a free standing filter that is ducted into your HVAC System. 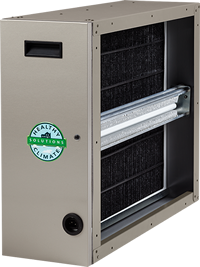 This filter can be added onto the Healthy Climate or Pure Air solutions. 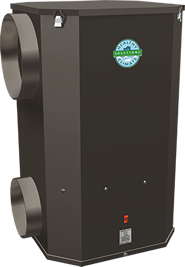 #1 Rated professionally installed, whole-home filtration system with carbon clean filter MERV 16. Best for mold, mildew and bacteria removal. 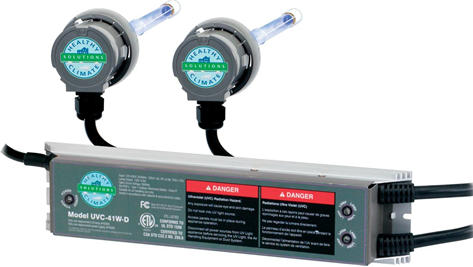 UVC-41W-D: Can be used as an addition to other indoor air quality solutions. Have a few questions for us? 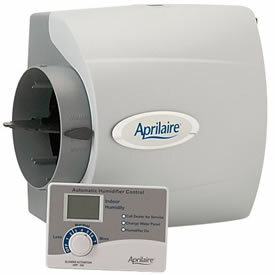 If you have initial questions about any of these indoor air quality solutions, call us at 262-677-3477. You’ll speak with a live person no matter what time you call – day or night.